Humans have always made do with what’s on hand. There is a special significance, though, attached to the fact that the phrase English speakers use to describe this universal practice — “jury rigging” — has a nautical origin. It reminds us that the Navy is often far from home, and even far from land, and that it must make do with what it has. Its fixes and patches and imaginative restructurings of existing items may have to last for several months and thousands of nautical miles. Because of this necessity, the Navy manages to be both the most tradition-bound of the services and, in crunch time, often the most innovative. At last night’s Battle of Midway Commemoration in San Francisco, jury rigging was the name of the game, and I mean that as a high compliment. Several things did not go as planned, but it didn’t matter. A little jury rigging here, and a little jury rigging there, and the evening sailed through with flying colors and heads held high. I’ve written here before about the evening’s delights, but I’ll offer a swift re-cap. The event takes place in the lovely Marines’ Memorial Club in downtown San Francisco. The Club is housed in a beautiful Beaux Arts building from 1926. The upstairs banquet and reception rooms have high ceilings with decoratively stuccoed walls, and are festooned with dignified images of various ribbons. Just being there feels celebratory. For me, though, what makes the evening is the people. Formal dress is the name of the game, so the men are either in Naval Whites (gold trimmed and ribbon be-decked), tuxedos, or very nice suits. (And yes, put a man in a uniform and he looks even more handsome than he usually does. Go figure.) The women are in evening wear, ranging from always-appropriate black to brilliant jewel tones. Since this was my third event, I was happy to see familiar faces and they, bless their hearts, seemed happy right back to see me. The food was delicious. Well, what was really delicious was the Roast Beef. After it was ceremonial paraded before the President of the Mess, who gave it his seal of approval, we got to dine on succulent, perfectly cooked roast beef, accompanied by mashed potatoes, and fresh asparagus. Although I adore red meat, I can’t cook it to save my life, so I’m always delighted when someone puts a beautifully prepared plate before me. There was wine, which I didn’t drink, but many did, so the room’s conviviality, already good to begin with, increased as the evening progressed. The guests were an eclectic group: retired Navy, active duty, Coast Guard (a huge, ebullient contingent), family members of the aforesaid service people, hanger on-ers (that would be me) and, of course, the Midway survivors, as well as a sprinkling of men who served in other theaters during the war. I’m very sad to say that the number of survivors is dwindling fast. My memory is that, the first time I went, three years ago, there were more than ten survivors attending. This year, there were six, as well as three widows who represented their husbands so that the memory of their service would continue to be honored. Still, dayenu, it was enough to have these six men and three widows there, and to hear once again the courageous, moving, often incredible stories of their participation in one of history’s greatest sea battles — and one that, thankfully, ended in America’s favor. “So,” you’re asking yourself (or, after my intro, you should be asking yourself), “what made this a jury rigged evening?” Many things. To begin with, per the invitations, the originally scheduled speaker was Admiral Jonathan Greenert, who is Chief of Naval Operations. Before taking on this enormous administrative job, Admiral Greenert was a submariner. Since I know that the rules of the Midway Commemoration (or any formal Navy mess, for that matter) require guests to introduce themselves to the speaker, I went to the internet and carefully studied Admiral Greenert’s bio and memorized his picture. I was ready for my social moment. Except that Admiral Greenert was unable to attend, something I didn’t realize until much, much later. In his place, we were fortunate enough to have Vice Admiral David Architzel, who is commander of the Naval Air Systems Command. As best as I can understand, that means that he’s in charge of every airplane the Navy has, as well as being in charge of every decision the Navy makes about airplanes it would like to have. Unlike Admiral Greenert, who saw service below the water line, Admiral Architzel saw service well above the water. In other words, he was an aviator. When I arrived at the reception, I made my way over to Admiral Winston Copeland (Ret.) (“Cope” to those lucky enough to know him), to say hello. Cope looked great, as always, in his bright whites, complete with his unofficial opal studs (for which he gets fined every year because of the uniform infraction). Mysteriously, his shoulder boards were missing, but as I find military uniforms somewhat mysterious as the best of times (i.e., I don’t understand all the information they telegraph), I quickly forgot about this peculiarity. After a few minutes of chit-chat, Cope introduced me to his friend Admiral Architzel and Mrs. Architzel. They were charming. Mrs. Architzel explained that they’d both flown out from Maryland, which should have given me a clue that something special was going on. I remained clueless, merely remarking on the fact that it was so nice that they took the time to make the long trip for this evening. I then turned to the Admiral and asked (yes, I really asked), “Are you active duty?” The Admiral didn’t even blink at this inane question — proving indeed that he is both an officer and a gentleman, not to mention a very nice human being. Instead, he explained his job to me and took a few minutes to discuss how computers have changed his work. After that conversation ended, and I drifted off to say hello to other friends, I heard another women asking the Admiral about his submarine experience, proving that I wasn’t the only one who didn’t get the message about the change. When the dinner portion of the evening began, after the Color Guard displayed the flag, a technical failure meant that there was a sudden silence rather than the Star Spangled Banner. With considerable presence of mind, the President of the Mess proposed the name of one of the guests to sing the anthem. So it was that, instead of having a tinny recording, we ended up hearing a glorious a capella mezzo soprano rendition of our National Anthem. That’s jury rigging with style. The evening went as I’ve learned to expect. We remembered those who have not returned from the wars, and there was a lot of amusing badinage around uniform and behavioral infractions. The resulting fines all go to fund the Committee, of course, so people paid up with good cheer. It was in this portion of the evening that we I learned what happened to Cope’s shoulder boards. It seems that, in the flurry of packing, Admiral Architzel had forgotten to bring his along. Knowing that both a fine and some good-natured joking were in the offing, Cope nevertheless gave Admiral Architzel’s his boards to use for the evening. Jury rigging again, folks. As has been the case before, one of the highlights of the evening was the singing, and I’m not just talking about that surprising National Anthem. The Intel group stunned everyone by singing their Intel song. Not to be outdone, we were treated to an enthusiastic, if somewhat unmelodious rendition of the Coast Guard song. The highlight of the group singing, though, was the Seabees, because this year they came prepared: they’d provide the Vice with instrumental music, and they had their lyrics down pat. No surprise, then, that the audience clapped along, keeping time with these two stalwart Seabee singers. Considering that the evening was distinguished by flexibility in the face of change, it was a rather pleasant surprise to listen to Admiral Architzel’s speech, one that focused on the Navy’s adaptability. * He began by pointing to an interesting historical confluence: This year marks both the 200th anniversary of the War of 1812 (which started on June 18, 1812) and the 70th anniversary of the Battle of Midway. Nor is that intellectual flexibility limited only to the upper ranks. 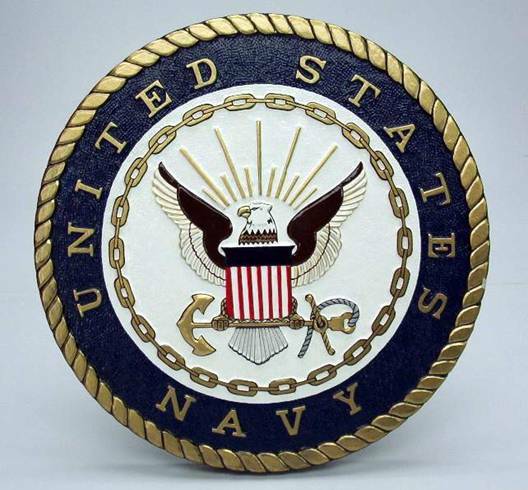 While history books celebrate the admirals, that same enthusiasm, discipline, and adaptability must travel all the way down the ranks in order for any Navy to present to the enemy a simultaneously coherent, well-trained and well-organized fight team, and an adaptable, flexible entity that can jury rig as needed to deal with the exigencies of battle. Any organization that becomes too rigidly stratified lacks the ability to adapt to changing situations and therefore to survive those changes. The Navy, which gave birth to the very word we associate with “making do” illustrated in 1812, in 1942 and, again, last night, the flexibility is the name of the game. And when it comes to a formal dinner, that combination of rigidly observed tradition and free-wheeling jury rigging, makes for a very enjoyable evening. *I didn’t make notes during the Admiral’s speech. My summary is based upon my sometimes shaky memory, so my apologies to the Admiral if I’ve misrepresented anything he said.